VIVARAIL has released an image of the first two-car set destined for use with West Midlands Railway (WMR) on the Marston Vale line. The unit carries the London Northwestern Railway livery and its interior designs. 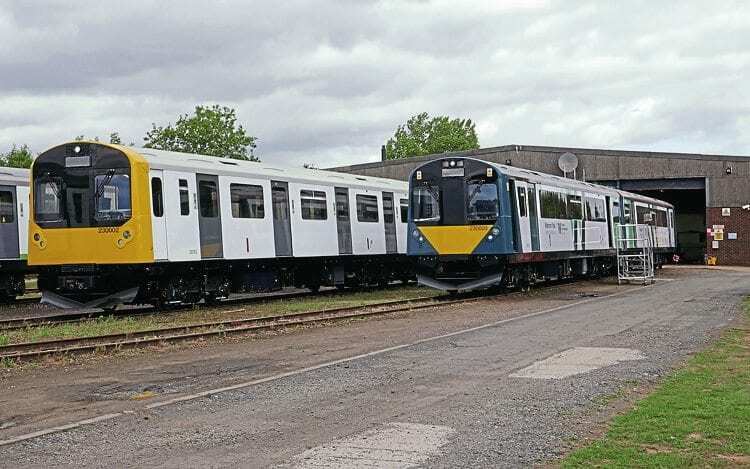 Vivarail specialises in converting former Underground trains into modern multiple units, and will convert three former D78 Tube trains for WMR use between Bedford and Bletchley from this December. The first unit – No. 230003 – has been under test at Long Marston. Sets 230004/5 are due to begin testing soon. Each of the trains will include universal access toilets, USB sockets and modern ‘airline’ seating. The trains will be supplied as diesel units, with the capability to convert to battery units in the future.